After a day out on the water, there’s no better way to unwind than with a night out on the town. 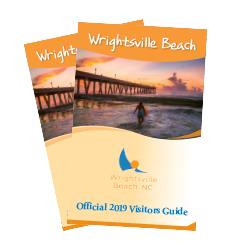 Wrightsville Beach is known as an active, vibrant community that keeps the energy of the day flowing into the night. Live music brings this beach town’s environment to life with locals and visitors connecting with one another through song and dance. Read on to find the genre of live music at Wrightsville Beach that strikes your fancy. You can’t beat live music combined with waterfront views, delicious food, drinks and dancing. To hear tunes and enjoy fresh seafood oceanfront, head to the Crystal Pier at Oceanic Restaurant. The restaurant offers a concert series with live music on the pier every Friday and Sunday during the summer. If the Intracoastal Waterway is more to your liking, go to Bluewater Waterfront Grill and enjoy its summer concert series that hosts live musicians every Sunday evening. Live music and dining can also be found at Banks Channel Pub and Grille. Enjoy a night out jamming with the whole family to the tunes of indie, pop, classic rock, country, blues and soul during one of Wrightsville Beach’s Summer Concert Series. Concerts at Airlie Gardens provide a scenic backdrop of wildlife, gardens, 10 acres of lakes, azaleas, the 473-year-old Airlie Oak and even a fan-favorite: a butterfly house. The WECT Sounds of Summer concert series is another opportunity to relax and enjoy summer tunes with a picnic at Wrightsville Beach Park. Wrightsville Beach Brewery is a local hotspot offering weekly eclectic performances that include reggae, funk, country and so much more in their beer garden. Grab a craft beer and immerse yourself in the music and fun. If you’re a fan of more relaxing acoustic tunes, dine with a view at EAST Oceanfront Dining located in the Blockade Runner Beach Resort. The award-winning oceanfront garden display creates a night of elegance and coastal curations. Gabby’s Lounge at Holiday Inn Resort offers a variety of musical stylings that spill out onto the Sunrise Terrace overlooking the beach Thursday through Saturday nights. For post-dinner tunes, head to The Palm Room, a 1955 historic bar known for its nightlife energy, cocktails, beer and ocean breeze. The live music includes a wide range of genres including touring bands and local musicians. Enjoy the sounds of the island with a cold one amongst locals at Jimmy’s at Red Dogs.